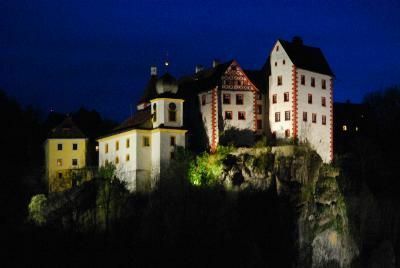 Egloffstein Castle Trubachtal romanticly sited above the valley TRUBACHTAL, is residence of the Barons of Egloffstein since 11th century. It is one of the best known sights of Franconia. Visitors can join guided tours throug the castle. 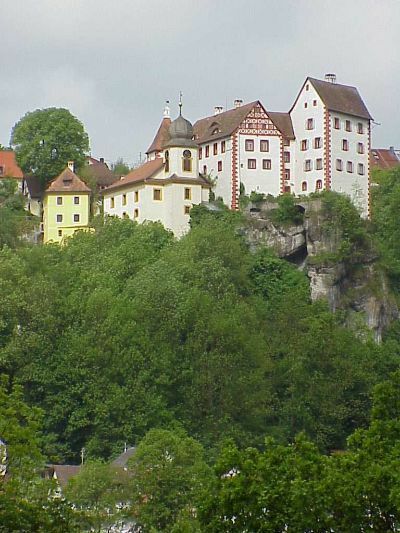 There are comfortable holiday flats on Egloffstein Castle for demandng visitors. How to travel to Egloffstein? 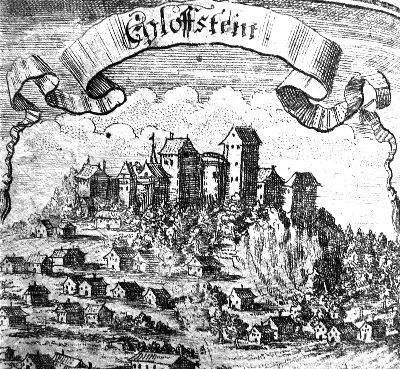 Egloffstein is in the center of Franconia (northern Bavaria) between the highways A3 and A9 and inbetween the triangle Nürnberg-Bamberg-Bayreuth. Closest airport is NUREMBERG (45 Minutes by car or 60 minutes by train and bus/taxi). From FRANKFORT Airport it takes about 2.5 hours by car respectively 3 hours by train and bus/taxi. Find one of the best rout planner at map24. Take trains to either FORCHHEIM or GRÄFENBERG. From both train stations you can reach buses or take the taxi to Egloffstein.